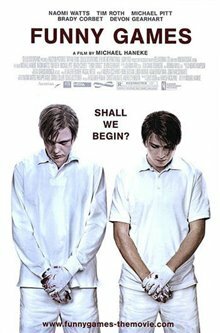 A vacationing family gets an unexpected visit from two deeply disturbed young men. 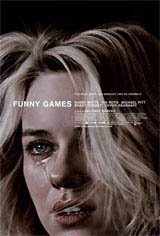 Their idyllic holiday turns nightmarish as they are subjected to unimaginable terrors and struggle to stay alive. 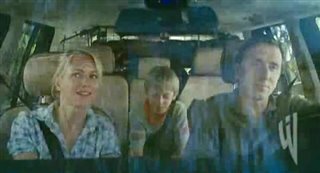 The vacation begins with Anna (Naomi Watts), George (Tim Roth) and their son Georgie on their way to their summer home. The neighbors, Fred and Eva, are already there. They make a date to play golf the next morning. It's a perfect day. Anna begins to make dinner, while her husband and son are busy with their newly restored sailboat. Suddenly, Anna finds herself face to face with a polite young man, the neighbors' guest Peter (Brady Corbet), who has come to ask for some eggs because Eva has run out. Anna is about to give Peter the eggs, but hesitates. How did he get onto their property? Peter explains that there's a hole in the fence – Fred showed it to him. Things seem strange from the beginning. Soon, violence erupts.